Within three years the consortium partners want to establish the complete supply chain to embed thin film based RFID technology in printed objects (packaging, cards, stickers, …) and printable substrates (paper, cardboard, plastic, …). It is our goal to make even more objects part of the Internet of Things and the ‘internet of games’. 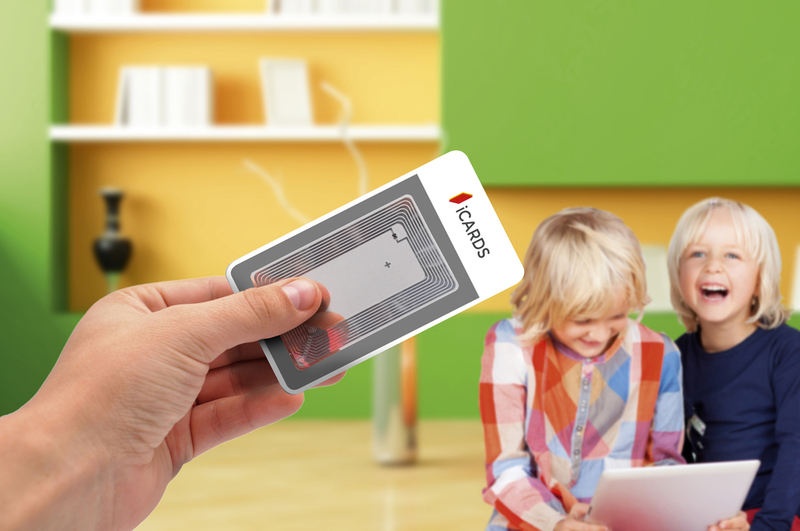 We want to make it possible to identify and interact with printed objects through standard NFC and RFID reading devices (e.g. smartphones). Additional features like sensors, displays, sound, … can be added to the smart objects in a later stage. To make this happen we will develop extremely thin, flexible and durable electronics and we need to establish the supply chain that allows for standardized manufacturing at the lowest cost and highest volumes. Not only will we be working on the NFC chip of the future, but we will also reinvent the industry’s standards in assembly process and the conversion into game cards and packaging. In 2012 Imec, Holst Centre and their partners in the EU FP7 project ORICLA already fabricated the world’s first RFID (radio frequency identification) circuit made in low-temperature thin-film technology that allows reader-talks-first communication. The technology behind this prototype is indispensable to create RFID tags that are cheap enough and have enough performance to be used as intelligent item-level tags on the packaging of retail consumer goods.